The stock listed at Rs 499, a 33% premium against its issue price of Rs 375 per share on the National Stock Exchange. Bandhan Bank has made a strong debut at the bourses on Tuesday. The stocks listed at Rs 499, a 33% premium against its issue price of Rs 375 per share on the National Stock Exchange (NSE). On the BSE, the stock listed at Rs 485, 29% higher against its issue price. 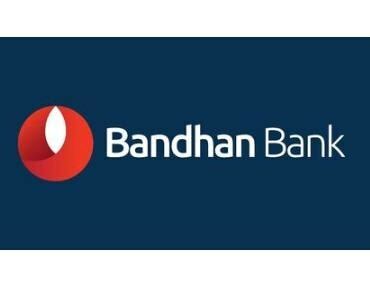 At 10:04 am; Bandhan Bank stock was trading Rs 472 on the BSE and NSE. A combined 35.11 million shares changed hands on the counter on both the exchanges. The private sector lender raised Rs 45 billion through initial public offer (IPO), which was oversubscribed by 14.6 times. The qualified institutional buyers (QIBs) category was subscribed 38.67 times, the non-institutional investors category was subscribed 13.89 times and the retail individual investors (RIIs) category received subscription of 1.20 times. The objective of the fresh issue was also to augment bank’s Tier-I capital base to meet the bank’s future capital requirements. The bank also believed that the listing of equity shares will enhance the bank’s visibility and brand name among existing and potential customers. The bank has a very healthy business mix – on the asset side 96.5% of total advances qualifying as priority sector lending (PSL) and on the liability side 33.2% of total deposits in the low-cost current account & savings account (CASA). Considering the healthy financials – NIM of 9.9%, gross and net NPA of 1.67% & 0.8%, respectively and high return ratios of 25.6% RoE and 4.1% RoA, analyst at Centrum Broking believe the bank will be able to attract adequate investor interest. Further, the bank is expected to benefit largely from financialisation of household investments especially in the rural & underbanked areas, vast branch network and presence in high growth segments of micro lending, retail and SME banking. Given the high valuations, investors can subscribe to the issue from a long term perspective. It must be noted that since the issue is being offered at expensive valuation, listing gains may be capped, the brokerage firm said in an IPO note. Being a bank, Bandhan Bank was able to ride the recent MFI crises smoothly unlike NBFC-MFIs. So in the current form, it is a robust and resilient micro loan financier with great growth prospects. The bank would likely be able to sustain RoA and RoE near the 4% and 25% mark respectively. We believe long term investors would find post-money valuation at 4.8 times price to book value (P/BV) reasonably attractive, IIFL Wealth Management said in an IPO note.